With the start of spring just around the corner (March 20th – just three days away! 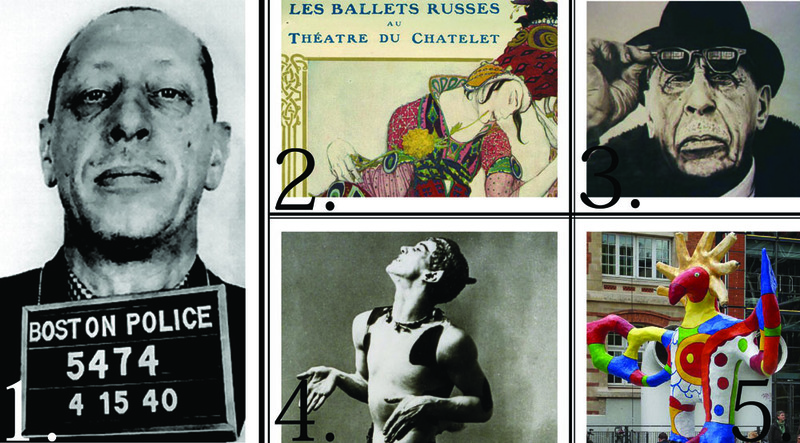 ), we thought we’d pay homage to Stravinsky, one of the greatest composers of the 20th century, and his most controversial work The Rite of Spring in this week’s Monday Moodboard. Let us know what you think of the ballet in the comments below! In 1939, Stravinsky moved to the US to lecture at Harvard University, eventually settling in West Hollywood and enjoying the cultural life Los Angeles had to offer. He occasionally conducted concerts with the LA Philharmonic and spent his days with other talented musicians, composers, conductors and writers, including Thomas Mann and Aldous Huxley. 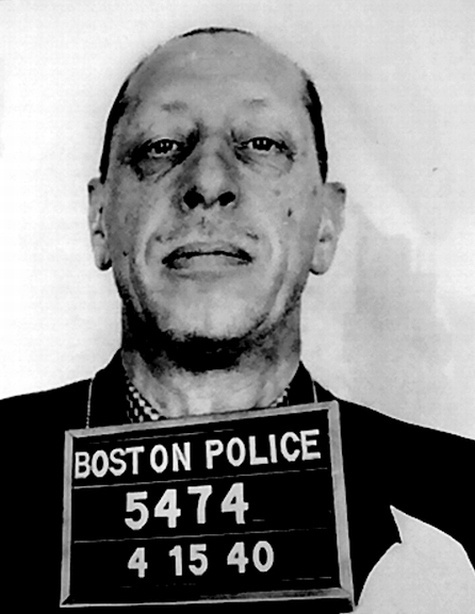 Stravinsky did, however, run into a little trouble with the law when his rearrangement of The Star-Spangled Banner led to a confrontation with the Boston Police and a warning that a $100 fine could be issued. Although it’s often said that he was arrested, this is not the case and the supposed mug shot above is actually a passport photo. A Paris-based company that performed across Europe, North and South America between 1909 and 1929, Les Ballets Russes emerged as one of the most influential companies of the 20th century. Owner Sergei Diaghilev commissioned Stravinsky’s The Rite of Spring, choreographed by dancer Vaslav Nijinsky, which premiered in 1913 and caused a near-riot among audience members. Diaghilev died in 1929 of diabetes, leaving the ballet company heavily in debt, with creditors coming along to claim its property and its dancers moving on elsewhere. A few years later, in 1932, Colonel Wassily de Basil co-founded the Ballet Russe de Monte Carlo, with former Diaghilev associates Leonide Massine and George Balanchine coming on board. 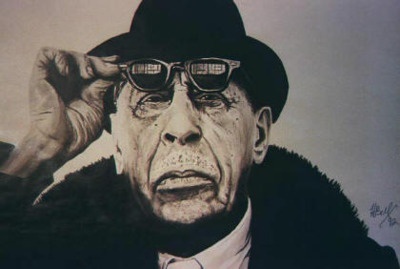 Russian composer, pianist and conductor Igor Stravinsky (born June 17th 1882) first shot to fame off the back of three ballets commissioned by Sergei Diaghilev – The Firebird, Petrushka and The Rite of Spring. Very much thought of as a musical revolutionary, Stravinsky’s Rite of Spring certainly helped cement his reputation as such. After the premiere of The Firebird in 1910, Stravinsky was much in demand and moved from Paris to Switzerland in September of that year with his family, spending each winter there and summering in Russia, during which time he composed Petrushka and The Rite of Spring. Les Ballets Russes premiered the latter work on 29th May 1913, which focuses on the tribal rituals often associated with spring’s arrival and ends in human sacrifice. 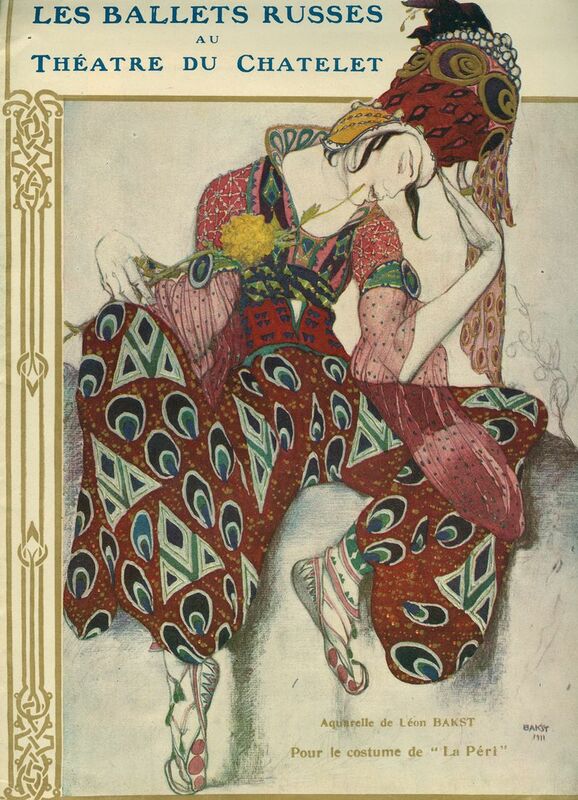 In 1914, Stravinsky described the ballet as a “musical-choreographic work, [representing] pagan Russia … unified by a single idea: the mystery and great surge of the creative power of Spring”. The first showing of the work ended in a near-riot, however, with some 40 audience members being ejected from the ballet theatre – with some reports suggesting that the police had to be involved, although this is unsupported. It’s perhaps unsurprising that Vaslav Nijinsky went on to become a world-renowned dancer and choreographer. His mother, orphaned at a young age and with four siblings to care for, first earned a living as an extra in Warsaw’s Grand Theatre Ballet, while his father was also a touring dancer, performing with the Odessa Theatre. Nijinsky received his initial training from his father and later went to the Imperial Ballet School in 1900, with his teachers all remarking upon his exceptional dancing ability. His fellow students were less kind, however, and resented his talent – teasing him for being Polish, mocking him for his slightly Japanese looks (Russia being at war with Japan at the time) and even causing him to suffer a fall, which resulted in him being in a coma for four days. The turning point of his career was when he met Les Ballets Russes’s Sergei Diaghilev, who was very keen to promote Russian culture abroad. 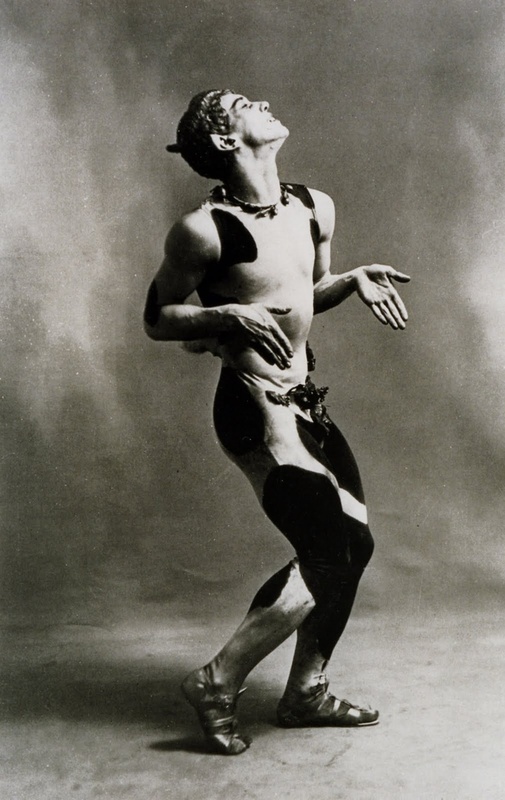 Aside from dancing, Nijinsky was an acclaimed choreographer but often thought of as controversial, including The Rite of Spring, which introduced the idea of modern dance to audiences. 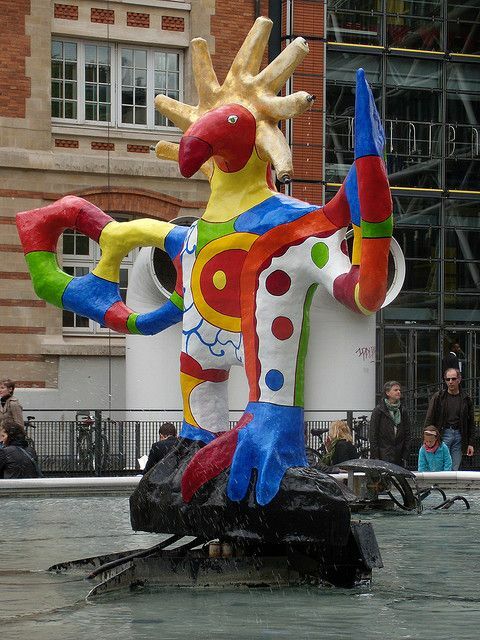 If you’re strolling through the streets of Paris and find yourself near the Centre Pompidou, make sure you have a look at the Stravinsky Fountain sculptures – 16 works created in 1983 by Niki de Saint Phalle and Jean Tinguely, each representing one of Stravinsky’s compositions.